Senator the Hon. 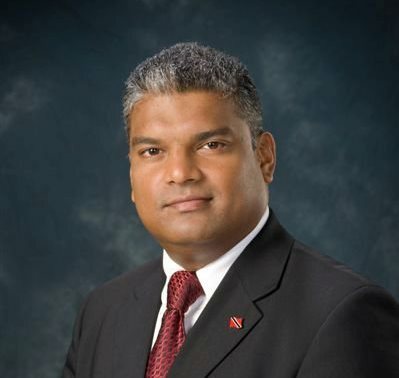 Anand Ramlogan SC, Attorney General of Trinidad and Tobago. Dr. Rowley has made several public statements on the issue of the death penalty that are misleading and mischievous. Clarification is necessary to avoid confusion as a result of his gross misrepresentations. 1. Rowley said “The death penalty is already the law and the PNM supports it, we are not going to be distracted by foolish political games”. He further indicated that the government should ensure that appeals are completed within the 5 year period set by the Privy Council in the Pratt & Morgan case. As Dr. Rowley well knows, it is virtually impossible for the state to ensure that convicted murderers complete their appeals within 5 years. After an appeal is made to the Court of Appeal and the Privy Council, the convicted murderer has a right of hearing before the Mercy Committee and the Inter-American Commission on Human Rights (IACHR) . Experience has shown that the hearing of a petition before IACHR is usually delayed until the 5 year mark is crossed thereby and resulting in the death sentence is being converted into a life sentence. To imply that it is possible to hang convicted murderers given the present state of the law is disingenuous and hypocritical. It begs the question: why was no one executed during the 9 year term of office under the PNM administration? The murder rate soared to unprecedented and astronomical levels and all three former PNM Attorneys General (Glenda Morean, Bridgid Annisette-George and John Jeremie) voiced their commitment to the death penalty. The fact is the law had developed after the execution of the Dole Chadee gang as the Privy Council had ruled that the state could not execute a prisoner whilst his petition is pending before an international human rights body. Practically, this meant that no one could be executed as the 5 years was easily exhausted by the prisoners’ constant appeals. That is why no AG has been able to authorize the lawful hanging of a prisoner since the execution of the Dole Chadee gang. Jamaica recently made similar amendments to its constitution to facilitate the implementation of the death penalty. It is astonishing that Dr. Rowley can predict the outcome of any legal challenge in such a negative manner. To do nothing and simply allow the status quo to be preserved is to render the death penalty meaningless as no one will be executed. 3. According to Dr. Rowley, the death penalty is irrelevant because the detection rate is low, because if you can’t catch them how will you hang them. There are approximately 1000 prisoners who have been charged for murder awaiting trial. These murders have been detected, persons have been arrested, and the DPP was satisfied that there was sufficient evidence justify the charge of murder. The issue of the detection rate is therefore a red herring as the court would not sentence a defendant to death unless he was tried before a judge and jury and found guilty of murder. Should we not support the administration of criminal justice by ensuring that those who have been caught and found guilty feel the full weight and brunt of the law by allowing the death penalty to be carried out? 4. Dr. Rowley stated that this is an election ploy as it is an election year and crime is high. The government had brought this bill to Parliament since 2011, less than year in assuming office. It was defeated because the PNM refused to support it despite all the concessions we made. Letters were subsequently sent in 2012, inviting Dr Rowley to submit a counter proposal for the government’s consideration. To date, he has failed to do so. Dr Rowley maintains that the PNM supports the death penalty even though they were unable to implement it when they were in power, voted against this government’s “hanging bill” and refuses to make a counter proposal. Unfortunately, it is difficult to reconcile his supposed support for the death penalty with his actions and conduct, which leads to the irresistible inference that Dr. Rowley and the PNM are in fact against the death penalty. 5. Dr. Rowley admits that he did not make any counter proposal but justifies it by saying that he is not an advisor to the government. Since the pnm was unable to execute any murderer during its 9 year term in government, what would you do now to accomplish this? What would be your proposal?